(About) High Resolution Photograph of General James Green Martin. 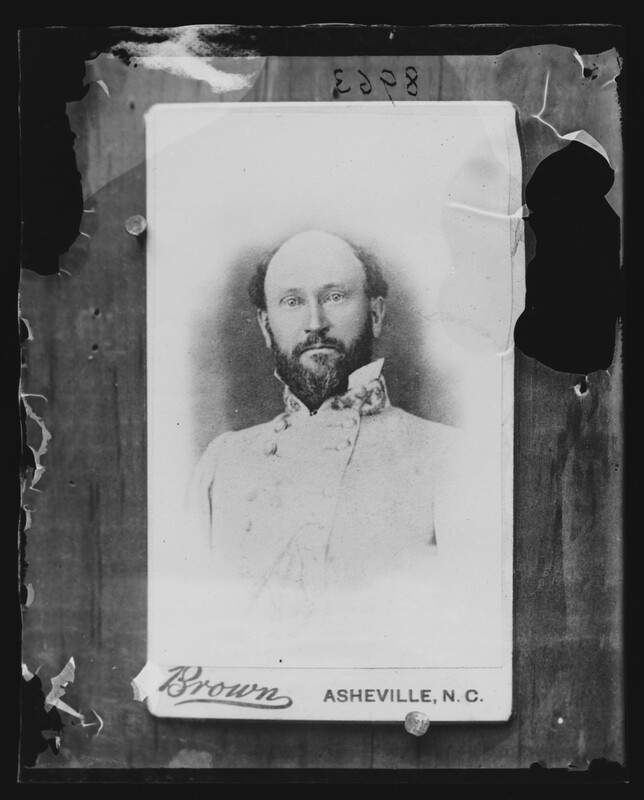 Original is a glass copy negative made from a carte de visite or cabinet card by Brown of Asheville, N.C. Photo courtesy Library of Congress. Digital file from glass copy negative. Library of Congress Prints and Photographs Division Washington, D.C. 20540 USA. 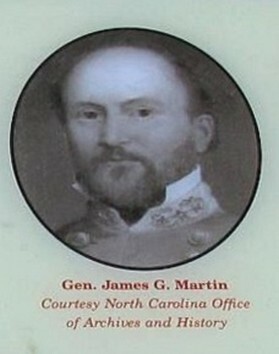 General James Green Martin. Tintype. LOC. General James Green Martin: Native North Carolinian, graduated West Point in 1840, and Mexican-American War veteran. He was nicknamed "Old One Wing" because he had lost his arm in the Mexican-American War. At the Battle of Churubusco in Mexico, his right arm had been shattered by grapeshot and had to be amputated. Martin was a key figure in the organizing and mobilizing of the North Carolina troops during the Civil War, and was also instrumental in brokering the final surrender of Confederate forces east of the Mississippi. 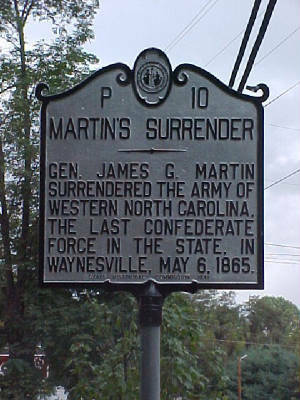 Although during the Civil War, Martin suffered from his Mexican War wounds (O.R., 1, 40, II, 699), he was present and negotiated the final Confederate surrender in Waynesville, North Carolina, on May 9, 1865. (Right) James Green Martin. Tintype photograph courtesy Library of Congress. General James Green Martin was born in Elizabeth City, N.C., on February 14, 1819, and was the son of Dr. William Martin and Sophia Dange. He entered West Point in July 1836 and graduated in July 1840, and was commissioned a second lieutenant of the First regiment U.S. Artillery. In 1842, he served on the frontier of Canada in the Aroostock War, or "War of the Maps." At Newport, Rhode Island, on July 12, 1844, he married Miss Mary Ann Murray Reed, a great grand-daughter of George Reed (a signer of the Declaration of Independence), and also of Gen. William Thompson (a brigadier general of the Revolutionary army). During the three days' assault on Monterey, Mexico, September 21-23, 1846, Martin was a second lieutenant and commanded his battery with Thomas Jonathan "Stonewall" Jackson as his second in command. 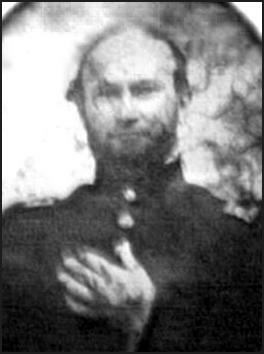 At Cherubusco, August 20, 1847, his right arm was shot off and he relinquished his command to Jackson (Martin, taking his sleeve in his teeth, vacated the field). He was brevetted major for "gallant and meritorious conduct" at the battles of Contreras and Cherubusco and presented with a sword of honor by the citizens of Pasquotank County, on which were engraved the battles in which he had participated. He was transferred to the staff and appointed assistant quartermaster and stationed at Fortress Monroe, Philadelphia, and also Governor's Island for several years. He transferred via orders to Fort Snelling, Minnesota, where Mrs. Martin died. On February 8, 1858, he married Miss Hetty King; she was a sister of General Rufus King of the U.S. Army, and eldest daughter of Charles King (president of Columbia College, New York) and the grand-daughter of Rufus King (the first American minister to the court of St. James). Martin was a member of the Utah expedition with General Albert Sidney Johnston (later killed at the Civil War Battle of Shiloh) and was at Fort Riley, Kansas Territory, when the Civil War began. He resigned his commission when North Carolina seceded and served in the Old North State and in Virginia till the close of hostilities. Gen. Martin was instrumental in preparing and mobilizing North Carolina for the Civil War (see North Carolina Military Organizations and Installations 1861 - 1865); he brokered a truce with Union Gen. George Stoneman during Stoneman's Cavalry Raid; was present with Colonel William Holland Thomas at "The Last Shot" of the American Civil War east of the Mississippi; assisted in brokering the Thomas Legion's surrender to Lt. Col. William C. Bartlett; and he also formerly surrendered the Western District of North Carolina. Penniless after the close of the war, he studied law and commenced its practice in Asheville in partnership with the former Judge J. L. Bailey. Martin died and was buried at Asheville, October 4, 1878. Recommended Reading: Confederate Military History Of North Carolina: North Carolina In The Civil War, 1861-1865. Desctription: The author, Prof. D. H. Hill, Jr., was the son of Lieutenant General Daniel Harvey Hill (North Carolina produced only two lieutenant generals and it was the second highest rank in the army) and his mother was the sister to General “Stonewall” Jackson’s wife. 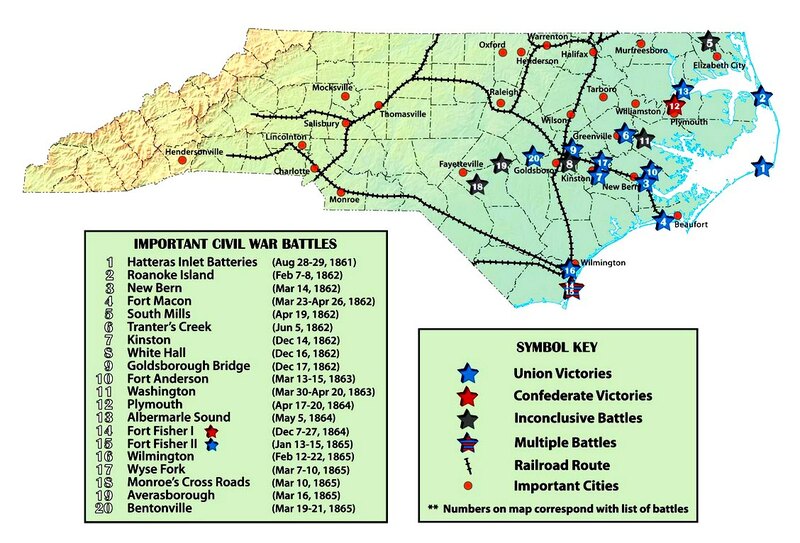 In Confederate Military History Of North Carolina, Hill discusses North Carolina’s massive task of preparing and mobilizing for the conflict; the many regiments and battalions recruited from the Old North State; as well as the state's numerous contributions during the war. Continued below. The only exhaustive guide to the South’s command, Generals in Gray belongs on the shelf of anyone interested in the Civil War. 5 STARS. Recommended Reading: The Civil War in North Carolina. Description: Numerous battles and skirmishes were fought in North Carolina during the Civil War, and the campaigns and battles themselves were crucial in the grand strategy of the conflict and involved some of the most famous generals of the war. Continued below. Recommended Reading: Leaders of the American Civil War: A Biographical and Historiographical Dictionary (Hardcover: 504 pages). Description: Covering both the great military leaders and the critical civilian leaders, this book provides an overview of their careers and a professional assessment of their accomplishments. Entries consider the leaders' character and prewar experiences, their contributions to the war effort, and the war's impact on the rest of their lives. The entries then look at how history has assessed these leaders, thus putting their longtime reputations on the line. Continued below. Sources: Official Records of the Union and Confederate Armies; Vernon H. Crow, Storm in the Mountains: Thomas' Confederate Legion of Cherokee Indians and Mountaineers; Walter Clark, Histories of the Several Regiments and Battalions from North Carolina in the Great War 1861-1865; Weymouth T. Jordan and Louis H. Manarin, North Carolina Troops, 1861-1865; D. H. Hill, Confederate Military History Of North Carolina: North Carolina In The Civil War, 1861-1865; North Carolina Division of Archives and History; National Archives and Records Administration; Library of Congress; State Library of North Carolina; North Carolina Museum of History; Western Carolina University; National Park Service, The American Civil War; National Park Service: Soldiers and Sailors System; Official Records of the Union and Confederate Armies; archives.gov; whitehouse.gov; bioguide.congress.gov; senate.gov.